Nature heals, yes its true nature holds within all the potential to heal a broken person. Here I am not talking about the Ayurvedic elements or the medical phase of nature or the world. The idea is very simple you travel around different places with natural beauty and freshness mostly so that you can escape from the reality or heal yourself from the pressure and the mental traumas that you have been through for the last many years. In my case the travel was not alone; I was travelling with my daughter to her favorite travel destination Kerala. Located to the southernmost end of India, Kerala is one of the most fab travel destinations that are filled with the goodness of nature and wild. The place holds within a number of best attractions and unique elements that makes the place one of the favorites for nature lovers and admirers. It was a year after the death of my husband that I and my daughter planned a Kerala trip. It was not our first visit to the land, we have been to the place a number of times before with my husband, and this trip was to recollect all the good memories we had of the place. Kerala is one of the best family travel destinations have always offered us the best family experience every time we visited the place. We mostly used to avail the tour package to Kerala that was organised by a travel operator names Gogeo holidays functioning in the land. But this time it was just the both of us and thus we decided to travel on our own more over we knew some of the best places to stay and the modes to reach to the place that we were to explore. As per our plan, this family trip was organised with an itinerary which included Munnar as one of the main travel destination and Kochi as one of the stop-over destinations. We flagged off the trip on the 13th of November by around 8 am. After a long flight, we finally reached the Kochi international airport by around 12 am which was literally noon. As out a first place to explore was Kochi and as it was a stop-over destination I was completely fine with a landing at the place by noon. After getting the luggage from the airport the first thing that both of us look for was a cab and for our luck, we had a cab waiting in the stand. It was on our way to Kochi that the thought of getting an accommodation crossed my mind. As our last family trip was organised by travel operator we need not bather of the accommodation and such as the complete accommodation part was handled by the travel operators but this time as we were not accompanied by a travel operator it was my responsibility to looking for a decent budget accommodation. The last time I visited Kochi with my family, we stayed in a hotel named broad bean which offered us decent accommodation at a pocket-friendly rate so this time I asked the driver to take us to the same hotel. By around 12.45 pm we reached the hotel, after completing the check-in formality at the hotel we decided to take a small power nap as the both of us were really tired from the travel. Later we woke up by around 3.30 pm with the alarm sound that my daughter set in my phone. By around 4 pm after having the tea from the hotel we moved on to explore some of the nearby travel destinations. As the hotel was located in the center of the city most of the travel destinations where close by. The first destination that we explored at Kochi was the Mangalavanam bird sanctuary. Located to the center of the city within the high court premises, the place was one of the best destinations where one could spot nature at its best. The place was mostly filled with mangrove plantations and thus gave an ambiance of a forest. The place was mostly filled with birds which are migratory. And thus it becomes one of the literal paradises for bird watchers. One of the other attractions in the place was the tree house from where you get to enjoy the best view of the forest and the plantations and the lake nearby. The place was one of the best spots where families could spend a refreshing and happening moment. After being at the place for a while we moved on to our next travel spot which was the marine drive. Like Mumbai Kochi too had its own marine drive that offered the travelers with the best view of the sea. One could see the beauty of the sea and the Chinese fishing nets in the area which is a sight worth enjoying. You could notice that it is mostly families that arrive at the place as you get to enjoy one of the best evenings seeing the sunset and tasting the roadside food in the area. Like all the others we too enjoyed a refreshing sunset in the place and then got back to the hotel after having the dinner from a restaurant on the way. The next day morning we were woken up by the reminder call that we asked for at the reception. After refreshing, we got down to the hotel to have the breakfast which was complimentary. By around 10 am we checked-out of the hotel and then availed a cab from the hotel which was to take us to our next travel destination which was Munnar the queen of hill stations. Located to the western ghats of Kerala, Munnar is one of the most fascinating travel destinations that have always been one of the favorite travel spots for most of the travelers from around the world. It is a 3 to 4 hrs drive from Kochi to Munnar and we reached the place by around 12.30 pm. Instead of checking-in directly into the hotel, we decided to fit travel around exploring some of the travel destinations in the area and the check-in into the hotel by the end of the day. On our way to Munnar, our first stop was at the Cheeyappara Waterfalls which was en-route to the hills. The beauty of nature and the wild surrounding the hills is something that is admirable. Most of the traveler who was there at the place was families who were enjoying their day with their kids; the sight was worth enjoying altogether. After being in the falls for a while enjoying a bath we moved on with the trip. Our next travel destination was the eco-point in Munnar which was a place that was sandwiched between two hills producing the phenomena of echoing. It is mainly this natural phenomenon that is happening in the area that gave the place its name. With a small lake and valleys surrounding the eco-point was a perfect destination where families could enjoy some quality time together. Apart from the beauty of nature and the climate, the place also offers travelers with a number of adventures like boating, horse riding and more. As my daughter insisted on enjoying boating and horse rides both of us enjoyed the same. After being in the place enjoying some family time we moved on to our next spot which is the Munnar tea plantations. Filled with the gleaming beauty of nature and the tea plantations, most of the peaks in Munnar are filled with tea plantations. The place offers the travelers with the best view and a perfect spot for photographers. The climate and the mist in the area add to the mood. By the time we finished wandering through the plantations taking some pictures, it was already getting dark so we decided to check-in to the hotel. After a drive of another 45 minutes, we reached the hotel where we checked in and had the dinner after refreshing. As it was a trying day we slept real soon. The next day morning we woke up by around 9 am. After refreshing and having the dinner we checked-out of the hotel BT 11 am. As it was our last day at the place we only had very few travel destinations to explore. The first place we went was to the Munnar tea museum which according to me would be a must-visit spot for all family holiday and travel packages organised to the misty hills in Kerala. The Munnar tea museum exhibited different verities of tea which starts from the white medicinal tea to the kid’s favorite chocolate tea. The both of us tasted almost all the verities and my daughter loved the chocolate so on our way back we bought a few chocolate tea bags and green tea bags. From the tea museum, the next destination that we moved on to was the top stations. Travelling for an hour we finally reached the top station from where we started our trek so that we could reach the viewpoint. Even though my daughter found the task very easy, it was really hard for me. Comparatively climbing down to the viewpoint was easier whereas climbing up was a real task. The view of the cloudy mist and the wild below was one of the best scenery that one can enjoy while at Munnar. It took us about an hour to climb back to the top station. The sandalwood forest was our last travel destination on the trip even though we didn’t have much time to explore the place we just had a small visit. By the time we started back to Kochi, it was 6 pm. After a very long ride back we finally reached the Kochi international airport by around 9.30 pm. From where we took the flight back home. To be honest, Kerala is one fascinating travel destination for the family. The place not just holds within the beauty of nature but also have a very peaceful and calm climate that helps us relax and enjoy the time with one another. It is mainly the climate and the refreshing air in the best travel destinations in Kerala that helps in making a bond within families. The travel destinations in Kerala are not just about nature and hill stations but the place has much more to add-in to the list of attractions. The traditional centres, the cultural centres, the eco-friendly destinations, the backwaters, the beach destinations are all some of the other elements in the land that attract the attention of the travelers. Most of the tour packages that are being organised to Kerala would include almost all the attractions and travel elements. Offering the travelers with the best of attractions and being a state with the best potential in tourism Kerala is a must visit the spot to the south. The world is slowly turning to Ayurveda for a healthy lifestyle. In fact, we are depending on Nature and its natural remedies once again. People from far and wide fly down to Kerala, the birthplace of Ayurveda for effective cures and remedies. Almost every Ayurvedic treatment packages are being booked in advance, especially in those authentic Ayurvedic centres like Kottakal Arya Vaidya Sala, Aura Spa etc. Authenticity is the keyword and people don’t lose a chance to get authentic Ayurvedic treatments because now the world knows the power of Ayurveda. Though gradual, the effect is guaranteed with no side effects at all. Ayurveda is the science of life that was developed in India in the Vedic period. The name Ayurveda has been derived from Sanskrit where ‘Ayur’ means longevity and Veda mean science. It uses natural medicines, herbs and diets to control any disease. From then to this day, Ayurveda dwells in India without losing any of its splendor. Ayurveda has reasons and principles for every ailment and it depends on the individual and his body type. Every method of Ayurveda has a science to it. It does not deal with temporary cures, instead, finds out the root cause of the problem and makes a regime for the patient to follow. Would Ayurveda help in losing weight? Yes, it does. There are some natural Ayurvedic remedies that aid weight loss. Well, one should not expect a sudden change in the weight. As mentioned before Ayurveda follows a regular comprehensive style of treatment where the effect is seen gradually but lasts for an entire lifetime if the prescribed medicines and diet is followed strictly. You have different Ayurvedic options to curb gaining weight and facilitate weight loss. If followed regularly, these methods are going to work like magic and will help you reach your ideal weight. As per Ayurveda, certain foods and concoctions help in losing weight.Here are some of the Ayurvedic super foods that you can add to your diet at home and is suitable for all body types. Honey and lemon: Honey and lemon is the most popular remedy and it works like magic. What you should do is consume a concoction warm water mixed with honey and lemon juice. It not only helps you burn extra calories but is also one delicious drink. It actually tastes like lemonade or even better. This drink also reduces appetite. It facilitates your weight loss process by detoxifying the body. Some of you might be afraid to use this fearing if such a drink would affect the health. You can breathe a sigh of relief. It will never have a bad effect on your health. It will help you get that perfect dream body you have always wanted. Cabbage: Haven’t you always wondered why dietitians insist upon adding cabbages to your meals? This is the reason. For facilitating your weight loss. Cabbage when consumed raw or cooked, will help burn calories faster. But raw cabbage has a better effect on the fat burning process. One can have it before food or as a snack to curb your hunger pangs. It is like killing two birds with a stone. Isn’t it? In such a way you are able to control your hunger and burn the extra calories at the same time. So, do add cabbage into your diet. Pepper: Pepper is another magical remedy that can supplement our weight loss plants. Lemon and honey are extremely useful but adding crushed peppercorns to it makes it much more effective. Those who are not fond of lemons can also add peppercorns to warm water along with honey. It is not necessary that one should have pepper during the day, but having it at least once every day will show you the changes that you have always desired. Try adding more pepper into your life! Aloe Punch: Here is another tip that will aid your weight loss plans. A drink that will facilitate your fat burning process. Here is how you make it. You will need Aloe juice, turmeric powder, Tinospora cordifolia Powder and Terminalia Chebula Powder and cumin powder in a glass of water. Warm water is highly recommended. Mix them together along with a dash of honey and drink it. You need to consume this drink an hour before having your meals. Continue taking this drink until you reach your target weight. You must try this at home as it is very much effective. Drinking sufficient water: You might have heard this several times. If weight loss is your goal then including a sufficient amount of water in your diet should be one of your main priorities. It is not just Ayurveda that recommends water but alternative medicine says so. Having water throughout the day at regular intervals is a great step towards weight loss. But everything has its ‘dos and don’ts’.You must take care that you don’t drink water right after or before your meal. Such a practice should be avoided. There is a reason behind it. When water is consumed along with food, the acids that facilitate your digestion process gets diluted. Food will not be broken down properly and the digestion process will be slowed down. So, do drink water in the right amounts at the right time to reach your target! Ginger: Ginger has high medicinal values. It helps in curbing gastric troubles, prevent bloating and even facilitates your weight loss process. Ayurveda considers ginger as a great remedy to burn fats in the body. Consuming ginger tea in the morning helps you in your weight loss plans. Take the required amount of water in a pan and keep it to boil. Once it starts boiling add half a teaspoon of turmeric followed by little chunks of ginger. Let the mixture boil for a minute or two. Drink the concoction to aid fat burning. Have it regularly in the morning to attain great results. Horse Gram: Most of the Ayurvedic practitioners recommend horse grams when it comes to losing weight. Here is what you have got to do. Soak a cup of horse grams overnight, Boil it the very next day around afternoon. Add roughly chopped onions and salt (preferably rock salt) to the boiled horse grams. Consume the mixture continuously for 45 days without missing it even for a day. After consuming the mixture drink a glass of buttermilk to see the magic! Your fat burning process will be in full swing! Do try this remedy at home if you want to shed some weight. Digestive Tea: Digestive teas are really good at facilitating your weight loss process by improving the rate of metabolism. Here is a digestive tea that you can prepare using the common ingredients found at home. Get equal quantities of cumin seeds, fenugreek seeds and coriander seeds (about half a teaspoon). Add it to water (a glass) and bring it to boil. Once it starts boiling, close the lid and boil it again for another 5 minutes. You drink this during the day. The drink helps in weight loss by improving your digestion. Do try this at home and see the difference yourself. Getting rid of Ama: As per Ayurveda, Ama is caused by improper digestion. Ama when accumulated blocks the lymph channels and causes weight gain in people along with causing fatigue. In order to lose weight, one should see to it that they consume foods that help in restricting ama formation. Triphala, turmeric, trikatu, Guggulu (which are available in both capsule and powder form) facilitates the elimination process of ama. Triphala particularly is used in many Ayurvedic treatments, especially in Kerala, the birthplace of Ayurveda. Losing weight is not as easy as it seems to be. But including some foods can speed up the fat burning process. Such tricks can help you reach your goal. Foods that aid digestion: Ayurveda says that weight gain is mainly due to improper digestion and reduced fire of digestion. So, one should increase the intake of those foods that will facilitate proper digestion which in turn promotes weight loss. The foods that help in proper digestion are pepper, chilli, garlic, papaya, bitter gourd, ginger etc. You must try to include these foods in your daily meals to improve the digestive fire. It not only facilitates your weight loss goals but also adds more flavor to your food. Kerala, The God’s Own Country’, is blessed with ravishingly fascinating destinations that are blessed with Nature’s affection. Munnar, Alleppey, Wagamon, Kochi, Wayanad etc are examples of the very fact that I mentioned before. Each one of the destinations deserves a special mention though for the natural beauty and bliss that it offers to the tourists. It is not easy to describe the beauty of Kerala in one or two words. You have got to visit this beautiful land to experience and take in its beauty. This little south Indian state is a land where explorations never seem to end and that is why it is one of the most sought-after destinations of hundreds of explorers. A good trip is best accompanied by a great stay. Here are some of the very best resorts and hotels in Kerala which are going to blow your mind and you must make sure that you stay in one of them when in Kerala for the best experiences. Silver Wood Resort lies in the list of the best luxurious resorts of Wayanad. The resort has various spacious villas with all the amenities and desired facilities that any traveler would wish for. As it is situated in a very peaceful environment covered with greenery, you get to enjoy a private time filled with tranquility. One has so many different sorts of villas with different facilities to choose from. They are Natural, Emperador villas, Primero villas, Espacio Libre, Prestigio villas, Sky Romantico villas, Romantico villas, and Royale villas. All these villas provide you with an amazing view of the scenic beauty of Wayanad. Each one of the villas has facilities like a mini snacks bar, hot and cold water, jacuzzi and bathtub in bathrooms. All the rooms are air-conditioned with an Led TV and cable connection. The Emperador Villas are the most spacious of all the villas with 2500 sq. feet area. The villas contain two bedrooms along with a living room that is very spacious. You also get a beautiful view of the water running from the Banasura Hills. Whereas the Royal Villa, provides a nice living room, a dining hall along with a dressing area. The best part of such a villa is the presence of Jacuzzi in the balcony. The Romantic villa is all for honeymooners and couples who wish for a quiet romantic time together in the presence of the flowing streams and the beautiful range of mountains. The Sky Romantico Villa has rooms which are really spacious. The rooms have an area of 1100 sq feet and the bathroom is around 180 sq feet. Prestigio Villas have rooms with attached bathrooms and a very spacious outdoor area. Apart from all these delightful settings the resort also organizes indoor and outdoor tourist activities like trekking, rock climbing, nature walk, bird watching, visiting spice plantations, fishing, boating etc. Silver Wood Resorts are among st the best resorts in Wayanad and is the perfect nest for you to relax after your tour. Kannur also has some amazing beaches for tourists to enjoy and wonderful resorts near the beach to spend a great stay cation. One such resort is the Asokam Beach Resort. The resort is situated in the Payyamabalam Beach road of Kannur. Asoka Beach resort offers wonderful views of the beach along with great services and amenities. The friendly and amiable staff of the resort take care of every needs and requirement of their customers. The resort also provides delicious varieties of food from different cuisines dished out by proficient local chefs. The resort is particularly famous for the Panchakarma treatments and Ayurvedic massages, which is why it has levelled up to be one of the most popular Ayurvedic resorts. The resort also conducts ritual art forms like Theyyam and traditional martial art forms like Kalaripayattu on evenings. Banasura Hill Resort is a luxury resort situated in the lush green forest land of Wayanad. The resort can be considered as one of the most beautiful resorts in Wayanad. The specialty of the resort is actually hidden in the name itself. The Banasura Hill Resort is situated in the Banasura Sagar Island of the Banasura Dam. The resort that is spread across 15 acres of land has a beautiful stream flowing beside it and it looks straight out of a beautiful picture. When it comes to rooms you have three options to choose from which are the Nalukettu, Single Cottage and Double cottage. Nalukettu is the model of a traditional Keralite home, which is part of the resort. The stay at Nalukettu gives you a unique sense of tranquility mixed with beautiful nuances of the past. The Nalukettu has spacious traditional bedrooms, verandas, a central courtyard etc. Double Cottage is perfect for a group of travelers to stay. It is basically a wooden cottage with two spacious bedrooms and a balcony with a great view. Whereas a single cottage is somewhat similar to a double cottage, with a single room and is ideal for newlywed couples enjoying their honeymoon. The management here also conducts various adventurous and fun-filled tourist activities like trekking, rock climbing, nature walks, soft trekking, bird watching etc. If you are looking for premium facilities, then Tea Valley Resort of Munnar is the ultimate choice. The resort is located in Pothamedu which is an hour’s drive from the town of Munnar. Since it is located in Pothenmedu, which is just an hour’s drive from Munnar town, it is much easier to reach the resort from the main town of the area. The distance of the resort from the Cochin International Airport is 108km and will take you almost 4 hours to reach the place. The resorts spread up to an area of 6.5 acres of lush greenery, the beautiful resort offers a great ambiance for you to unwind and relax. Tea Valley Resort houses 29 cottages set in the backdrop of Munnar’s magical beauty. There is one great feature that really makes the resort unique when compared to the other resorts in Munnar. You are allowed to bring pets to this resort. Pet lovers are going to love this place for sure! The resort also offers provisions for an outdoor fireplace or barbeque. The resort provides the customers with three different types of cottages to choose from. The customers have options like an executive, luxury and honeymoon cottage. The multi-cuisine restaurant of Tea Valley Resort is run by very talented chefs who will prepare scrumptious food from various cuisines like Chinese, Indian and continental food for the guests. Broad Bean Resort and Spa comes under the list of the best budget hotels and resorts in Munnar. The resort is located in the village of Chithirapuram which is situated at a distance of 13 km from the town of Munnar. You can easily reach the resort in 30 minutes. The resort is well known for the reliable services and standard amenities provided at reasonable rates. The resort is situated amidst ravishing vistas of the luscious green hills and tea plantations. The best part is that you get great views of the scenery from every suite of the resort. The guests are also entitled to free WiFi, parking facilities. suites with all the desired amenities like bottled water, snack bars, comfortable furnishings etc. The bathrooms are also quite spacious with a continuous supply of water (both cold and hot). Broad Bean Resort runs a wonderful multi cuisine restaurant that dishes out different varieties of scrumptious food prepared by proficient and experienced local chefs. And the best part is that the suite comes with all the facilities along with a peaceful time and a very pocket-friendly price. Kadavu Resort and Ayurveda Centre is a five-star resort which gives premium facilities to its guests. The architecture of the resort deserves a special mention. The resort is built in a very unique way which arouses one’s curiosity. The architecture of the building is inspired by the perfect blend of Hindu and Mappila culture. Kadavu in the native language Malayalam means river bed. True to its name, the resort is set amidst the backdrop of beautifully flowing backwaters, coconut groves and an extremely tranquil surrounding. Kadavu Resort is spread across 9 acres of lush green land. The resort also has a great restaurant called ‘Ootupura’ which serves delectable dishes from the Malabar Cuisine. There are great facilities like doctor-on-call, luggage room, laundry, spa, yoga center, etc. The resort consists of two types of rooms which are Cottages and houseboats. Both kinds of rooms promise you an exceptionally beautiful view from them. The resort also conducts a lot of tourist activities, both indoor and outdoor thus ensuring a great stay for you and your loved ones. The activities include trekking, nature walk, boating, rock climbing, fishing and many indoor and outdoor games. They also have a gymnasium, swimming pools, basketball courts, jogging tracks etc. This is where relaxation meets entertainment. Raw Potato: Raw potato has starch content which helps in curbing pigmentation. It also has mild bleaching properties which help the process further. It also restricts the formation of dark spots, scars etc. and also prevents premature ageing. So, here is what you must do. You will need a potato and a cotton ball. Grate a potato and extract its juice. After which you can dip the cotton ball and dab it on the surfaces affected by scars and dark spots. Leave it for the night and wash it off the very next day. In a few weeks, you will notice the change if you follow these steps regularly. Fenugreek: One can use both the seeds and leaves for curing many health issues. Fenugreek contains the essential vitamins and minerals to cure many skin problems such as wrinkles. Take a fistful of fenugreek leaves and grind it to obtain a paste. Now, apply a layer of the paste on your skin. If you are using fenugreek seeds, boil them in water. After which you can apply it on your face using a cotton ball. Leave it for an hour or so. Then, you can wash it off the slightly warm water. Such a method is very effective as the skin adapts to it faster. Drink Tea: Hydrating oneself is very much important to keep the skin healthy. You got to drink at least 2 litres of water per day to keep your skin rejuvenated and refreshed. Drinking herbal tea is also a good way for maintaining a healthy skin. The herbal tea keeps your digestive tract in a proper condition. A good digestive system is essential for a supple glowing skin. You can use chamomile for brewing your tea which not only improves the functioning of your digestive system but also helps in providing a proper night’s sleep. Orange: Orange peel supplements the health of your skin. The peel of an orange contains nutrients like Vitamin C and vital anti-oxidants that help in keeping the skin bright, supple and radiant. How does it help in keeping the skin so bright and healthy? Orange has properties that control oil secretion and acne formation on the skin. Here is what you should do. The very first step is to dry the orange peels and then powder it. Take a tablespoon of orange peel powder and 2 tablespoons of yoghurts. Mix them well and you can apply on your face as a mask. Leave it for twenty minutes and then wash it off. Follow this procedure regularly and wait till you see the glow on your face. Sandalwood And Turmeric: According to Ayurveda, the role of sandalwood and turmeric is very much important. Turmeric has a lot of health benefits, not just for the skin but also for the entire body. 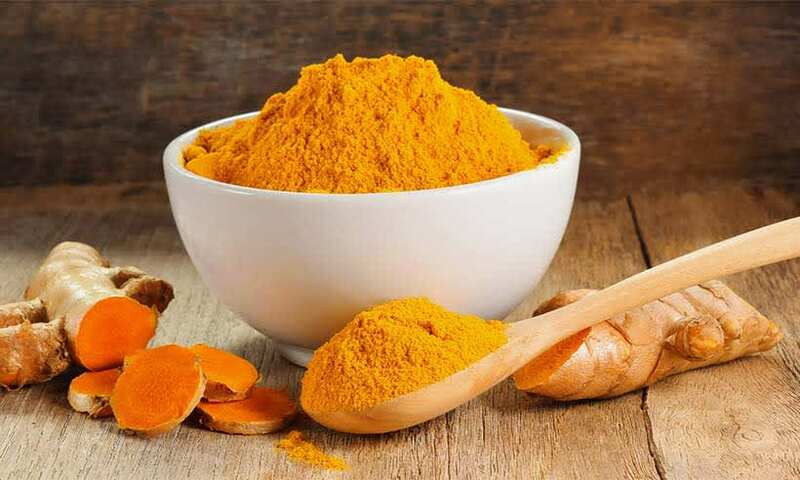 When it comes to skin, both sandalwood and turmeric has anti-bacterial qualities that curb the growth of acne-causing bacteria, prevents the formation of scars and inflammation and helps in making the skin clear. Take a tablespoon of sandalwood powder, half a tablespoon of turmeric powder and mix it with 2-3 tablespoons of honey until you get a thick creamy paste. Apply it on your face and leave it until it dries. Later, you can wash it off. Cow Ghee: Cow’s ghee has loads of benefits. It improves digestion and removes toxins from the system. On applying it to the face, the collagen production increases and as a result the skin gets moisturized and the ageing process slows down. Get half a teaspoon of cow’s ghee and mix it with a few drops of water. Then, you can apply it on the face and massage it in circular motions, at least for 10 minutes. You could either leave it for 30 minutes or for an entire night and wash it off the next day. But leaving the mixture for at least half an hour is very essential. You might need to use a mild cleanser to wash it off. Cow’s ghee is considered to be one of the most relevant components of Ayurvedic medicine. Most of the Authentic Ayurvedic Resorts of Kerala has massages using cow’s ghee for both the skin and body. Tulsi Leaves: Tulsi has zillions of benefits from fighting diseases to brightening the skin. Tulsi leaves are exceptionally good for brightening the skin and obtaining an even skin tone. Here is what you should do. Take a few tulsi leaves and grind it to get a thick paste-like mixture. Later, you can add a tablespoon of raw milk into the mixture until you get a paste of even consistency. Apply it on your face and leave it for 20 minutes or so. After which, you can wash it off with cold water. Try this regularly for the best results and a glowing skin. Chickpea flour: Chickpea flour which is otherwise called as besan in Indian households is one effective remedy for removing tan, dark spots and pigmentation. The flour has skin cleansing and anti-microbial properties. You can make a face pack with the flour and apply it on your face for the best results. You will need around 2 tablespoons of chickpea flour, half a teaspoon of lemon juice and a teaspoon of milk or yoghurt. Mix all the components together to get a paste. Apply it on the face and wait for it to dry, after which you can wash it off with lukewarm water. Chamomile: Chamomile is also helpful for the body in many ways. 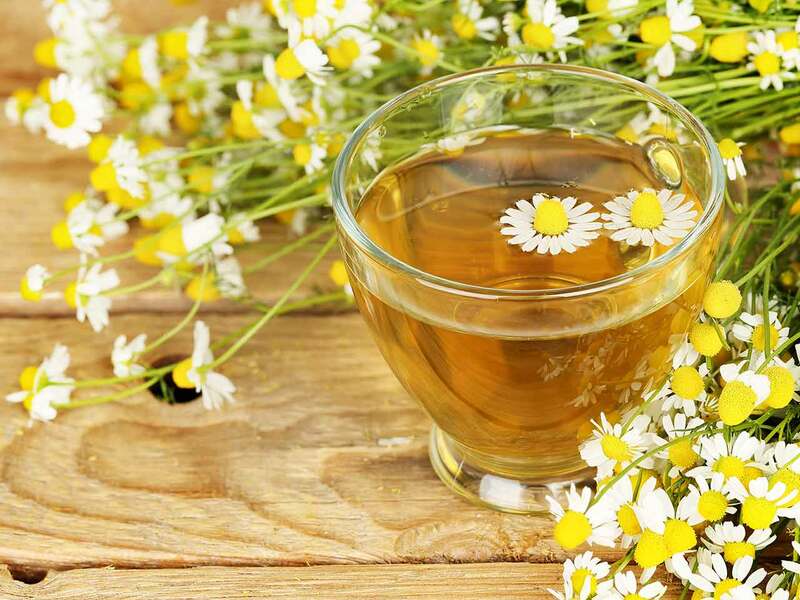 Chamomile tea is a very effective drink, which helps us get better sleep. Chamomile is beneficial for the skin as well. It has antiseptic and antimicrobial properties. Chamomile when combined with Multani mitti or fuller’s earth provides a bright and clear skin by tightening the pores and toning the skin. Here’s what you should do. Brew a strong cup of chamomile tea and mix it along with a tablespoon of fuller’s earth and two teaspoons of honey. Apply it on the face and neck. Later, when it dries you can wash it off with lukewarm water. Yoghurt and sandalwood: Ayurvedic medicines have sandalwood as a common ingredient especially for the skin. It performs thorough cleansing of the skin, killing all the bacteria, making clear and full of glow. Yoghurt brightens the skin and reduces oiliness and spots. Moreover, it also moisturises the skin. You will need a teaspoon of sandalwood powder, half a teaspoon of milk and yoghurt and also a teaspoon of turmeric powder. Mix all the ingredients together until it forms a paste. Apply it on your face and wash it off after twenty minutes. Follow this remedy regularly to see the difference. Saffron And Aloe Vera: Saffron is considered to be one of the most expensive spices in the worlds which acts like magic on the skin. It brightens the skin, reduces all sorts of spots and brings that healthy glow on the skin. The function of aloe vera is to reduce inflammation and soothe the skin. You will need a pinch of saffron, a tablespoon of aloe vera gel and a teaspoon of milk. Here is what you should do. Soak your saffron in the milk and leave it overnight. Next morning you can take it and combine the mixture with aloe vera gel. Apply the mixture on your face and leave it for thirty minutes. You can wash it off later with cold water. The Ayurvedic style of treatment has become immensely popular throughout the entire world. Though it wasn’t very popular during the colonial era, Ayurveda took a surge in the 20th century and started to take the place of alternative medicines. Now, Ayurveda is one of the most trusted paths for treatment. Ayurveda is the science of medicine that was developed almost 5000 years ago in the Vedic times. The word ‘Ayurveda’ means Knowledge of Life where ‘Ayur’ means life and ‘Veda’ means knowledge. This science of medicine has been included in the Atharva Veda which is the last one of the four Vedas. Ayurveda follows a holistic approach to treating the body. According to Ayurveda, a condition can be cured only if there is a proper balance of the spirit, body, and mind. Diets, massages, herbal medicines, and exercises are the main factors of the Ayurvedic treatments. The massage and medicines will prove to be effective only if a strict diet and regular exercise regime are followed. Kerala is considered to be the birthplace of Ayurveda. There are various Ayurvedic treatment Centers in Kerala like Aura Ayurveda & Spa that provide traditional Ayurvedic treatments given by experienced practitioners. Travellers from far and wide come in search of these authentic Ayurvedic treatments. In this article, we will be explaining about the Abhyanga massage in Ayurveda. Ayurveda’s massaging techniques have a great impact on our mind and the body’s immune system. The massage therapies of Ayurveda includes the application of some herbal oils along with a few sequences and ways of the therapists that is very much good for the individual. Ayurvedic massages help in relaxing the tissues by softening it. Ayurvedic Massage can be called Abhyanga where the word is constructed using two Sanskrit words; ‘Abhi’ which means towards and ‘anga’ meaning movement. Abhyanga is a sequential organised way of massaging that is done in the direction of the flow of the arterial blood. The practitioners practise it in the direction of the body hair so that blood flow towards those parts of the body away from the heart is also increased. If the massage is done opposite to the direction of the body hair, this might not be possible. Herbal Pastes, ghee, oil or herbal powder can be used to facilitate the massage. As per Ayurveda, ‘Abhyanga’ is part of the daily routine which is otherwise called as ‘dinacharya’. Such a treatment relieves you from stiffness, fatigue and extreme pain. Abhyanga is also a part of the famous Panchakarma treatment. The massage makes the body get set for the Panchakarma treatment. Abhyanga also helps in balancing the doshas, especially the ‘Vata’ dosha. But that is not all, Abhyanga can be used to pacify Kapha and Pitta as well by including means like herbal powders and ghee. The exact procedures of Abhyanga are not mentioned in the books of Ayurveda. Most of the procedures in Ayurveda are well-kept secrets that have been handed down from generations to generations. The texts merely mention words like ‘Samvahan’, ‘Peedan’ and ‘Mardan’ which means light rubbing, pressing and pressure massage. That is why the difference between the modern-day massages and the Ayurvedic massages cannot be pointed out exactly. No conclusions can be made when the difference between the normal massages and Ayurvedic massages are asked. Ayurveda is one amongst those treatments that have no side effects. And when followed in a proper fashion as mentioned by the practitioners, there is no better medicine that can cure your body of ailments and diseases.